This is the arbor entrance to Cee Cee’s On the Corner, a “Fine Foods and Baked Goods” Mexican/American restaurant and vintage/consignment shop on the corner of 58th Ave. and Palmaire. It used to be Aunt Pittypat’s, for nostalgiophiles. 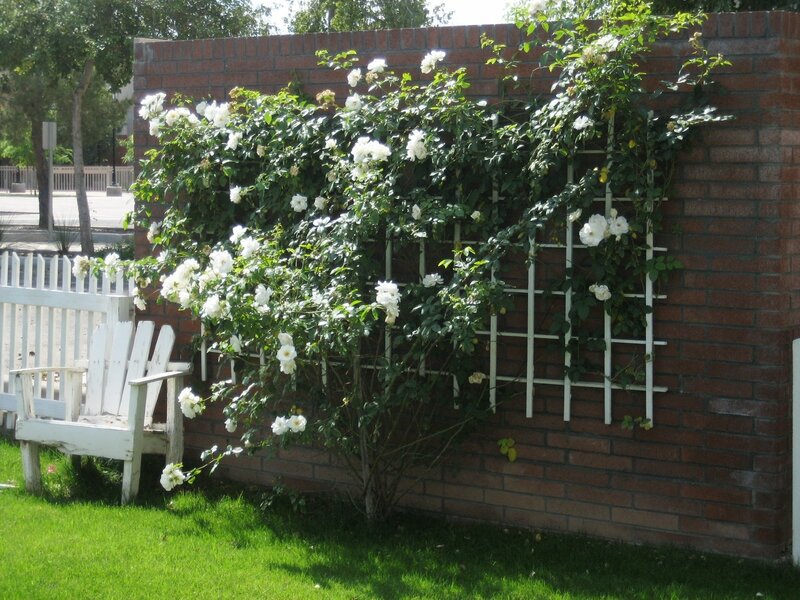 They really cleaned the place up beautifully and, one of the best things about the yard, is the way they turned something that could have been an eyesore (garbage screen) into another focal point (rose trellis). Bravo: After seeing their yard, it makes you want to sit outside and drink lemonade, sangria or even a mint julep! Hello and welcome to my Glendale Arizona photo blog! I had seen that all the other major cities in AZ had a cool photo blog, and I thought that Glendale should really have one as well! Of course I am bias since I lived there pretty much my whole life until I moved out to Surprise in December. This was my lunch at The Tea Shoppe in Historic Downtown Glendale. Now, I consider myself a bacon connoisseur, and this is the best BLT I have had outside my kitchen ever. It also comes with a strawberry salad that has walnuts and cheese in it too. They also hand make the strawberry vinaigrette dressing in the shop! It is seriously to die for! What is your favorite non-chain restaurant in your hometown?